We spent sometime during the last weekend sifting through our archive of educational tools we covered in the past and decided to bring to the forefront the titles below.The aim of this multi-purpose collection is to provide teachers with a handy resource where they can access some of the best educational tools to leverage in their instruction. This list is a work-in progress and we will be adding more to it in the next coming days. Pixiclip is a wonderful tool to create step by step instructional videos to use in your flipped classroom. Like Educlipper, PixiClip provides you with a whiteboard where you can add images,text, videos, drawings, annotations and many more. 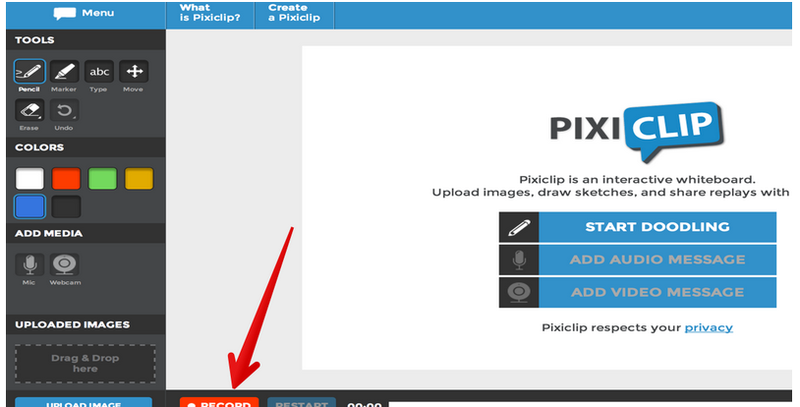 PixClip also offers a nifty recording feature that allows you to record your talk while working on the whiteboard. Once your PixiClip video is ready you can then share it through popular social media outlets lie Facebook or Twitter or email its link to your students directly. If you have a classroom blog, you can grab the HTML code of your video and embed it there. 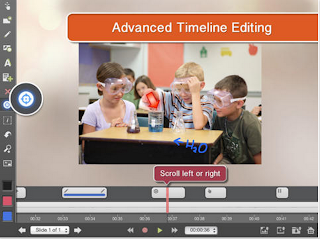 Here is a step by step guide on how to create instructional videos using PixiClip. 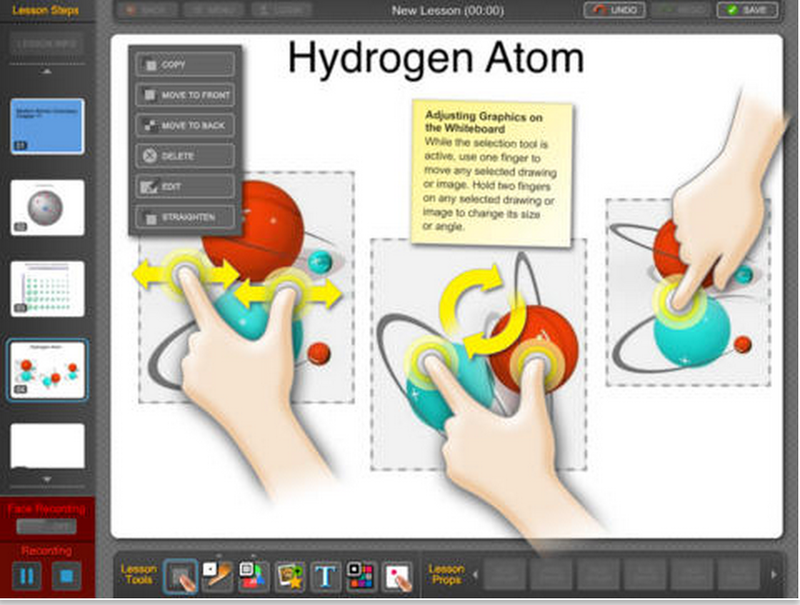 Explain Everything is a great interactive whiteboard that allows you to create screencasts and video tutorials using annotation, animation, narration, importing, and exporting almost anything to and from almost anywhere. Knowmia Teach is a new free lesson planning and recording tool for teachers and their students. It helps you create short video lessons on any subject and publish them on Knowmia.com so students, other teachers and the public can find them. Knowmia Teach makes it easy to bring in visual aids from multiple sources, organize them in steps (like slides in a presentation) and use your own voice and fingers to bring your lesson to life. You can design each step in the lesson, record illustrations as you draw them, and create sophisticated animation sequences with a simple stroke of a finger. We also give you the ability to describe your lesson in a way that makes it simple for anyone who is interested in the subject to find your video. 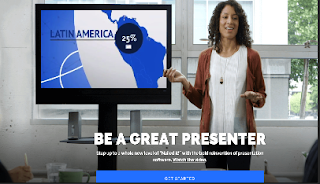 Prezi is a powerful web tool that allows you to create visually appealing presentations. You can start with a professionally designed template from Prezi’s library then use images, text, videos and zooming features to enhance your presentation. 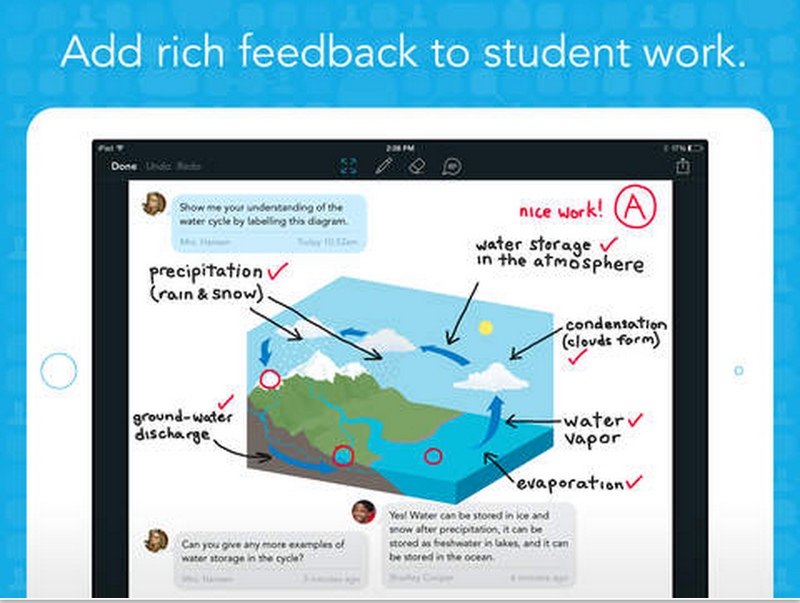 You can also collaborate with colleagues to build presentations. Prezi is available on iOS and Android so you can create or edit your presentations on the go, then auto-sync across all your devices with ease. Haiku Deck is another wonderful presentation tool for teachers. You can use it to visually narrate stories. It provides a variety of pre-made themes and templates to choose from. You can use Haiku's image library to search for images to include in your slides or upload your own. One powerful feature of Haiku Deck is that it automatically resizes images and shrinks text to fit in the slides so you will not have to bother with editing and resizing images. 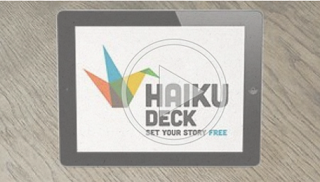 Stories created on Haiku Deck can be shared on popular social networking websites such as Facebook and Twitter, or be exported as PPT files or embedded in blog posts. This is an excellent tool to use with students to gather instant feedback on their learning or poll them on matters related to what you teach them. Today’s Meet allows you to create rooms and invite students to join them with no sign up. 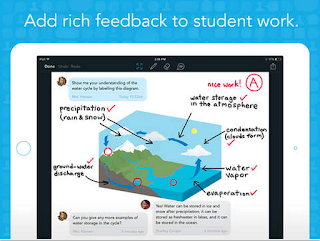 It is also a very good backchannel platform where students can engage in fruitful discussions and conversations. Socrative is one of our favourite tools for getting feedback from students. Teachers can use the different question types provided by Socrative to poll their students and garner their feedback in a variety of formats using both smartphones or computers. 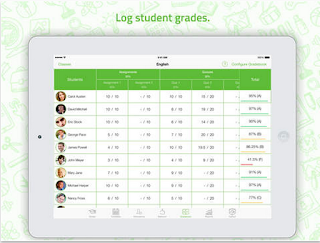 Infuse Learning provides a platform by which teachers can seamlessly engage every student on any device. Make informed decisions at the point of instruction with real-time, student feedback. 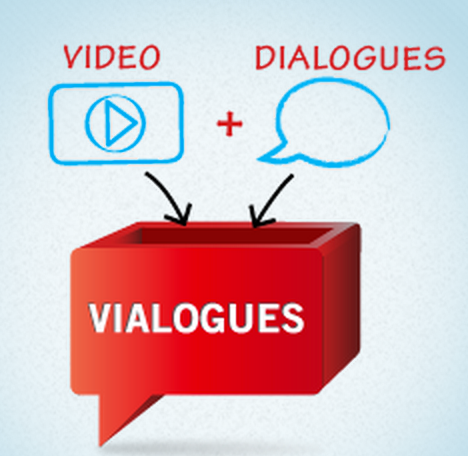 Vialogue (Video + Dialogue ) is an online video with a group discussion feature. Vialogue allows users to interact with videos by adding time stamped comments to them. This can be a great tool for teachers to use with their students to get them engaged in video prompted discussions.To get started, upload a video, grab one from YouTube, or choose one from the growing collection on our site. Once you’ve created a vialogue, you can encourage thoughtful conversations by posing questions, adding polls, and replying to comments. 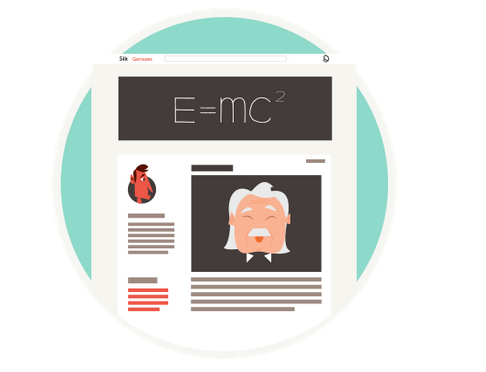 You can even embed a vialogue into your website, LMS, or blog! VideoNotes is a free web tool that allows students to take notes on a video they are watching. The notes are synchronized with the video being watched. The good thing about VideoNotes is that it is integrated into Google Drive which means that students will be able to save their notes directly to their Drive account and access, edit, and work on them anytime they want. All the notes are time-stamped. This is a web tool I have just learned about from my colleague David Kapuler. Edpuzzle allows you to use only what you need from any video, insert audio notes or record over a video with your voice, and add questions at any point in the video and track your students' understanding. Canva is by far our favourite. Canva provides a Flyer section where you can have access to a plethora of ready-made templates to choose from. 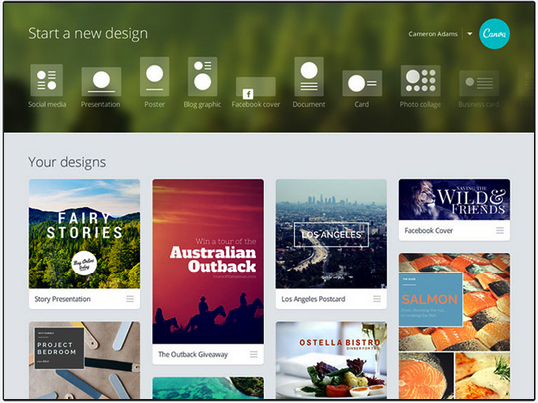 Using Canva’s drag and drop interface, you can insert your photos, text and customize your input the way you like. Once done, you can print or download your flyers to share with others. Canva is also available as an iPad app. 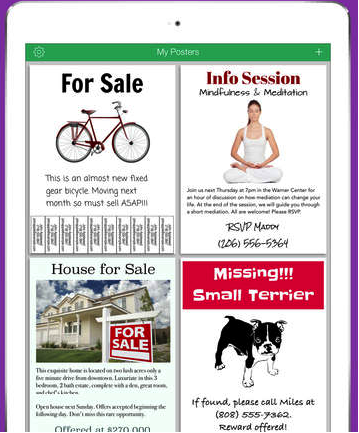 PosterMaker allows you to create real printable poster or flyer design. Add text, images, sketches and doodles, shapes, and clip art. Customize fonts, background colors, text alignment, positioning, and scaling. Crop, pan, zoom, and adjust image transparency. Pathbrite is a wonderful platform that allows users to create academic digital portfolios using different media. Pathbrite offers different templates for users to choose from and each portfolio can include things like : Google Docs, letters, Youtube and Vimeo videos, transcripts, popular social media websites like Facebook, LinkedIn. Pathbrite also lets you important your materials like PDFs, Docs, Pictures, Videos and many more. Each portfolio created by Pathbrite can be shared via email or social media. Silk is a web tool that you can use to create beautiful webpages where you can create, edit, and share your digital portfolios. Each page comes in with a variety of themes to choose from. Silk gives you more ways to structure and visualize your content. A Silk page consists of collections that hold together similar pages, and supports raging important bits of information on each page. 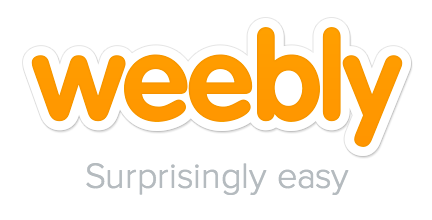 Weebly is a platform that lets you set up a web page in a matter of few clicks. It also provides pre-set themes and templates to use with your webpage and provides you with powerful authoring tools to add materials and cease content on your pages.